media.ccc.de - Playlist for "Who can you trust?" Playlist "Who can you trust?" 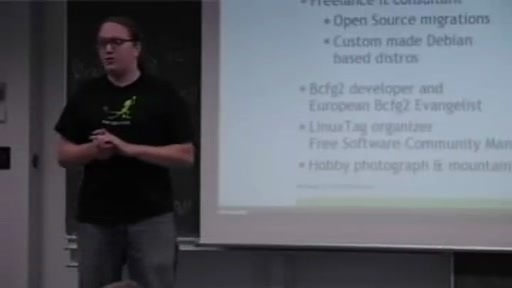 The openSUSE build service (obs) offers everyone the opportunity to build packages for many Linux distributions with relatively little effort. Hence the amount of available versions and variants per package is comparatively high. Therefore we need a powerful but also simple instrument to evaluate these packages, which are immediately available at the openSUSE software portal. A first approach will be a user contributed rating of all developers working with obs.